3,297 words later, another essay bites the dust. This time I was writing about the treatment of pulmonary arterial hypertension (PAH), covering what’s out there at the moment, and what’s in the pipeline. All I can say is, I’m glad it is over. My research project presentation is on Tuesday, and after that I get a slight reprieve, until my research paper is due. Intense essay writing is not the most conducive environment for gaming, hence my lack of posts. The QUB Sci-Fi and Fantasy Annual General Meeting was on Wednesday, and I finally relinquished my power over the society. Well, almost. I’m hanging on as the Internet Officer for now, and advising the new committee as they prepare to take on the daunting (kidding) task of running the show. It has been a good year, but intensely busy, and I am happy to be taking a break from things. The only games I have played properly in the last month are Terminator: SkyNET, and Resident Evil 4, both on the PC. 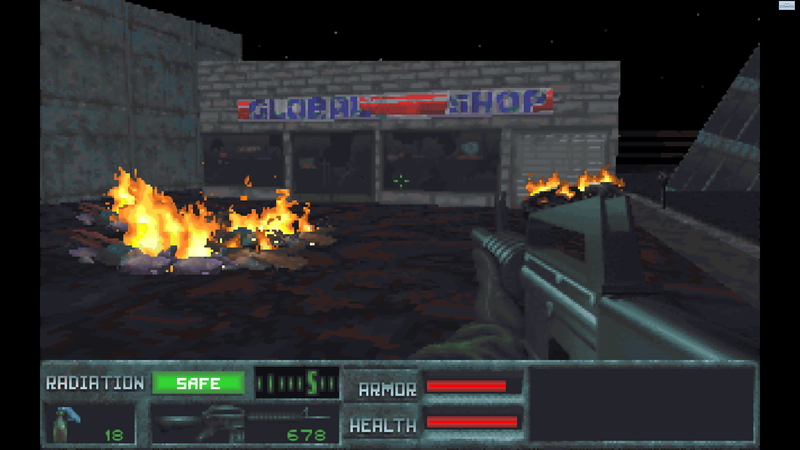 If you’re not familiar with the former, the Terminator films spawned two first-person shooter games in the mid-1990s: the Terminator: Future Shock, and the Terminator: SkyNET. 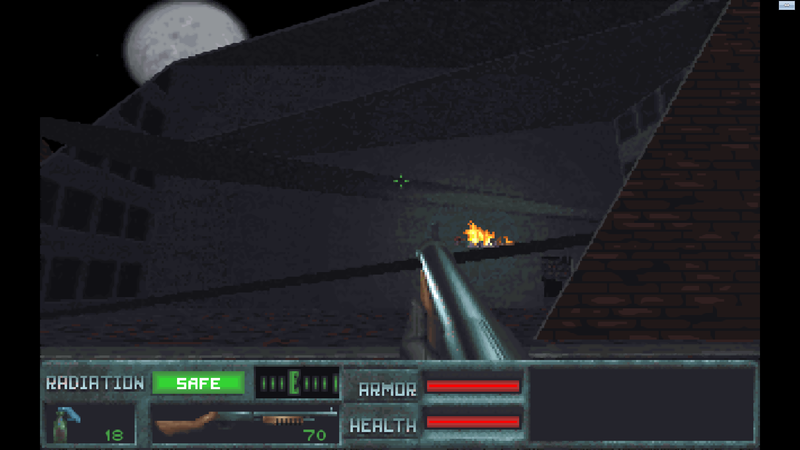 Both games were developed by Bethesda Softworks for DOS, and are available for download here. I’m not going to mince my words – these games are pretty bad. They’re not terrible, nor unplayable, just dull. I remember playing SkyNET years ago, and thinking it was awesome, most likely because of the relatively large range of guns at the time, and because it introduced me to the molotov cocktail (which I later studied intensely in the dictionary – I was eight or nine, after all). One particularly quirk which I had failed to care about when I originally played the games is the sheer lack of reloading. This is understandable with a lead pipe, considering it does not in fact require any ammunition, but an M16? Come on people. It would be fine, if not for the ludicrous abundance of ammunition. At one point, I fired about 600 rounds through an uzi without stopping. I suppose the developers can be forgiven for not wanting to overcomplicate things by adding more animations than would be necessary, but at least make the weapons believable. Some look downright awful. The shotgun just looks like the pipe, except with a piece of wood and a nail sticking out from it. The post-apocalyptic world of 2015 is a dull place, with burning cars littering the streets, and numerous buildings with floors collapsed in the most convenient way possible. In the post-apocalyptic future, all buildings are heavily reminiscent of Donkey Kong levels. If only all buildings collapsed in such a manner, then rescue operations would be a doddle. The game suffers from a lack of direction too, perhaps because of the wide open levels. Running around and shooting weird and wacky robots is fun for a little bit, but after some wandering and exploration, the novelty soon wears thin. I would judge these games less harshly taking their age into consideration if it was not for the fact that Quake, a fantastic FPS which got almost everything right, was released in 1996, the same year as the Terminator: SkyNET. The more I play the Terminator games, the less I want to play them. Games have come a long way, though it is nice to go back and explore gaming’s roots. I suppose I’ll get back to Resident Evil 4 now. Man, it is a good game, though sadly devoid of angular bouncing bird-thing bots, floating mines (making futuristic door opening sounds), and oversized ridiculous flying crafts that can be brought down with a couple of shotgun rounds. “Why shop locally when you can shop globally?” Not so sure about the forecourt decorations though.